Today was mostly sunny. The winds were from the west northwest at 6-10 mph with gust up to 20 mph. Temperatures were in the mid 80’s. Frisco beach Bluefish and Speckled Trout were reported. Inshore boats caught Puppy Drum, Speckled Trout, and Bluefish. Offshore boats caught Dolphin, Wahoo, and Triggerfish. 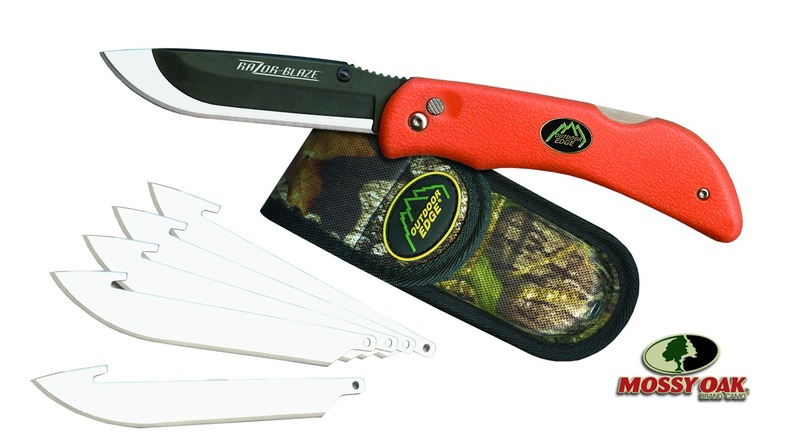 Outdoor Edge’s innovative new replacement razor blade system is the solution for dull knives.Sharpen the blade or simply push the lock button to remove and insert a shaving-sharp new one.Rubberized handles ensure a secure, non-slip grip and are available in black and blaze-orange.Each knife comes complete with 6 replacement blades and nylon sheath. Blade: 3.5″.Overall: 8″. Wt:3.6 oz. Steel: Japanese 420J steel. Rubberized Kraton handle. This entry was posted in Uncategorized and tagged cape point hatteras island, Outer Banks Fishing, Surf fishing by frgstaff. Bookmark the permalink.